15th Annual HEAT Kids Triathlon Registration now open! Join us for the 15th Annual HEAT Kid’s Triathlon on Saturday, August 3, 2019 at 7 am. There are two race divisions – Juniors: ages 6-10 and Seniors: ages 11-15. The 6-10 year old age group will swim a 50 yard pool swim, bike 2 miles, and run 1 mile. The 11-15 years old age group will swim a 100 yard pool swim, bike 4 miles, and run 2 miles. Sign up here at the following link! 2019 HEAT Registration is now open! Registration for the upcoming season for HEAT is now open. It is $30 for one year and $50 for the next two years. Old Hickory Lake Triathlon – Registration is now LIVE!! 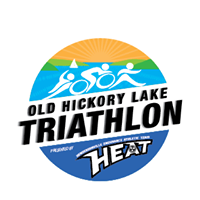 Join us June 30, 2019 for the 1st Annual Old Hickory Lake Triathlon presented by HEAT at Sanders Ferry Park. Our race will feature a 400yd swim in Old Hickory Lake, a fast out-and-back 20k bike course with scenic views of the lake, and a 5k run near the park to finish. Check-out our race website for more information and to register. Heads up YMCA members! The Sumner County YMCA has a Master’s Swim Class on Mondays and Wednesdays at 5:05am. All levels welcome.